What makes the Specialty Burger from Rinaldi’s Cafe so special? In Then Came You and You Send Me, characters indulge in the specialty burger from the cafe. It is, to be sure, artery-clogging decadence. It’s a 6 oz. 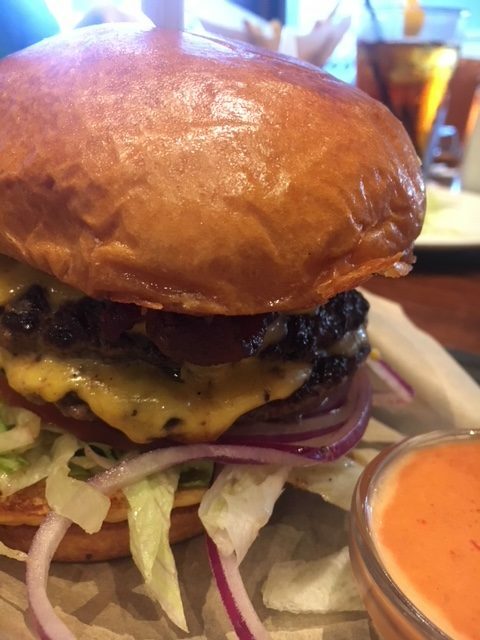 prime burger, layered with gruyere, and cheddar cheese, maple bacon, shaved red onions, lettuce, tomato and a special sauce, the recipe for which Lina Rinaldi keeps to herself. All of this is on a toasted brioche bun. The cafe’s onion rings are served on the side, and are the stuff of legend. ← What part of the writing process do you find the most difficult?